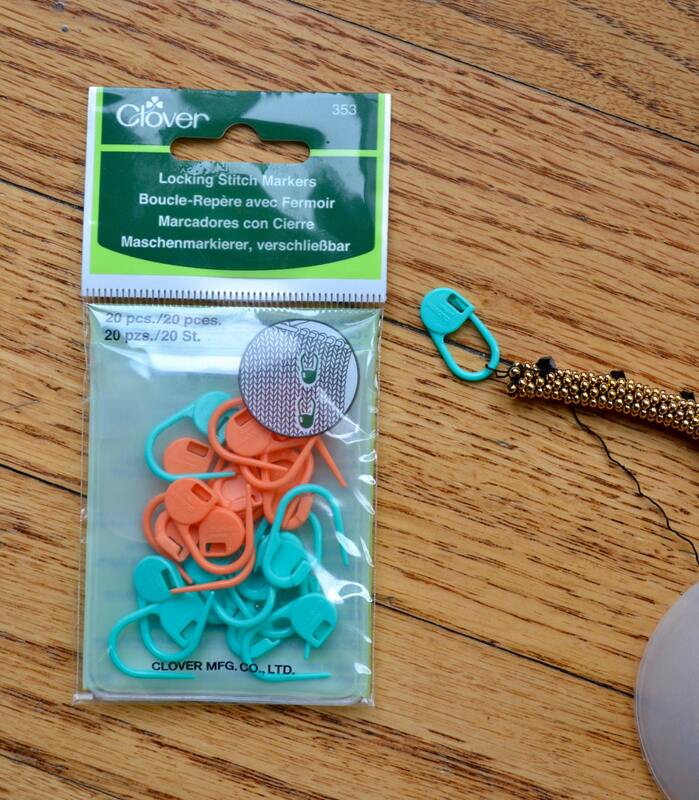 Locking Stitch Markers, 1 package Clover brand small size, 20 per package. A must for every bead crochet project! Locking Stitch Markers, small size. 1 package has 20 pieces and is made by Clover. Locking Stitch Marker picture shows how it holds your working thread to avoid work pull-out. Avoid threads splitting from common safety pins and use locking stitch markers. Shipping costs are listed for each item and additional purchased items are generally an additional $0.50 US (also listed with each item). Books are shipped via Media Mail, the most economical method. Shipping is via US Postal Service. Please allow 2-5 business days for your order to ship and 2-3 business days for Priority Mail to deliver your package (US). Please NOTE: some shipping times may take slightly longer, please watch your purchase shipping times for any variation. Shipping to Canada will take longer but is available. Convo me if you live outside the US or Canada and I can give you shipping costs to your country. I'm sorry, I cannot be responsible for lost or stolen merchandise through the shipping process nor customs issues. If you have problems with your mail service, please convo me to purchase a Priority Mail shipment and/or signature service to help get your purchase delivered to you. NOTE: Your package will ship to the address listed with your PayPal account. Convo/email me if you need to ship to an alternative address.